These cookies are hands down one of my favorites, and I pretty much crave them every day of my life. They turn out thin, with crispy edges and chewy middles. Is there a better kind of cookie? These are fantastic to have around the holidays since they make your house smell like butter and cinnamon, and also they are not healthy by any means so they’ll help you gain that much desired winter weight. You… wait… what? You DON’T like winter weight? Then what the heck are you doing here?! In a medium sized bowl, whisk together flour, cream of tartar, baking soda, and salt. In a large bowl, cream together butter and 1 1/2 cups sugar. Beat in eggs one by one. Add flour to butter and sugar mixture and stir until combined. In a small bowl, combine 1/4 cup of sugar and cinnamon. Roll dough into 1 1/2 inch balls and then roll them in the cinnamon sugar mixture. Bake for 12 – 14 minutes or until brown around the edges. Let cool. Devour. I mean… serve to friends. These look so good! 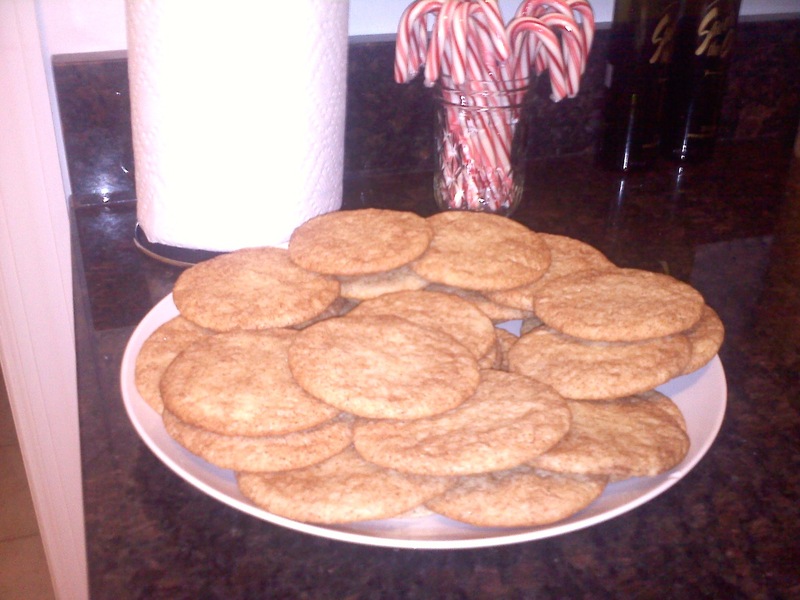 I like thin snickerdoodles much more than the super thick doughy ones! then you will absolutely love these!